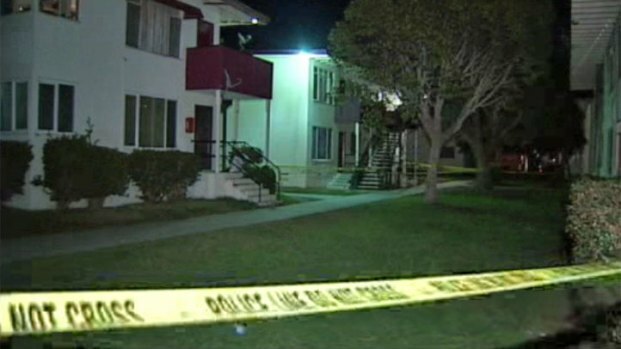 An Oceanside man was found with a gunshot wound inside an apartment early Wednesday. The unidentified man was discovered just after midnight in the apartment complex near Grant Street and Division Street near Oceanside High School officials said. Emergency crews transported the injured man to Scripps La Jolla Hospital by helicopter. The community has been the center of several high-profile criminal cases in just the last two months. An Oceanside man was found with a gunshot wound inside an apartment early Wednesday. NBC 7's Brandi Powell reports. In November, Oceanside police officers arrested Frederick Hengl, 68, after the discovery of his wife's body in the couple's N. Ditmar Street home. Officers reported finding the dismembered remains of 73-year-old Anna Faris cooking in pans in the couple's kitchen. The Hengls' house is located near the apartment complex involved in the shooting. On November 30, the neighborhood was also in the spotlight when residents Inez Martinez Garcia, 43, and husband Marcial Garcia Hernandez, 45, were arrested and accused of allegedly abusing a young girl who had been smuggled into the U.S.
One resident told NBC 7 San Diego the area is known for gang activity adding that there have been five shootings on the street since November 1.